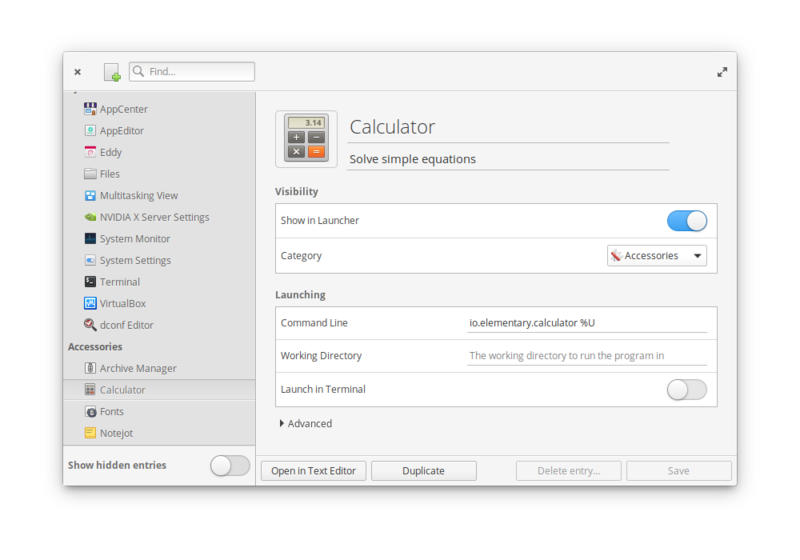 Edit application entries shown in application menu and their properties. Get AppEditor and more on elementary AppCenter, the open, pay-what-you-want app store for indie developers. Every app is open source and has been reviewed and curated by elementary to ensure a native, privacy-respecting, and secure experience. It is now possible to create a menu entry directly from the file manager: right click on an executable file and choose "Create a Menu Entry"